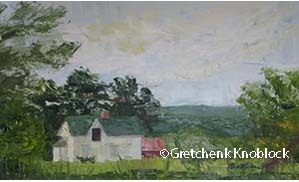 Gretchen Knoblock Original Oil Paintings. 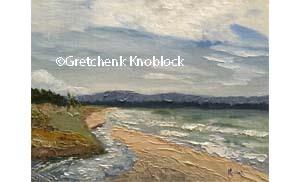 These paintings are not for sale, but are examples of my work. 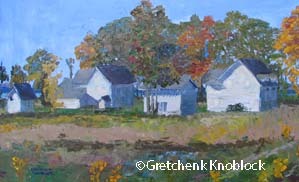 To see current work and available art, please visit my BLOG. 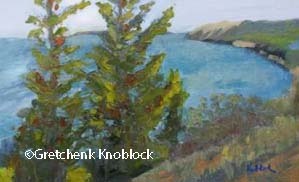 I am currently working on a project to produce 100 small paintings in honor of the 100th Anniversary of our National park System! 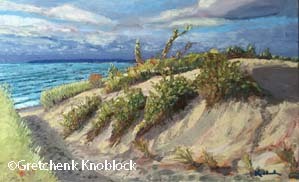 To see current paintings that are for sale, visit my blog or in person at Green Island on Front Street in downtown Traverse City or at Cedar Creek Interiors in Elk Rapids. 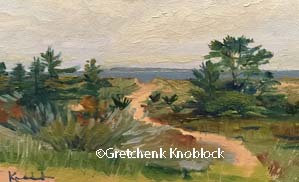 Sunset Trail Glen Arbor Art Association suneet plein air paintout 2016. Treat Farm Homestead south of Empire off Norkonk Rd.